Start off your visit on the 21st (Fri): explore the striking landscape of El Torcal Natural Park. Keep things going the next day: get outside with Penon de los Enamorados and then identify plant and animal life at Lobo Park. To find other places to visit, where to stay, ratings, and more tourist information, you can read our Antequera itinerary maker. Miami, USA to Antequera is an approximately 19.5-hour flight. Traveling from Miami to Antequera, you'll lose 6 hours due to the time zone difference. Plan for slightly colder temperatures traveling from Miami in April, with highs in Antequera at 71°F and lows at 53°F. Wrap up your sightseeing on the 23rd (Sun) early enough to drive to Nerja. Nerja is a municipality on the Costa del Sol in the province of Málaga in the autonomous community of Andalusia in southern Spain. Get outdoors at Fundación Cueva de Nerja and Nerja Diving. 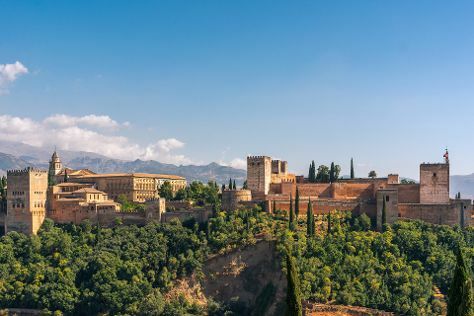 Venture out of the city with trips to Granada (Generalife & Alhambra) and Puerto de Malaga (in Malaga). And it doesn't end there: enjoy the sand and surf at Playa de Burriana, get outside with Ski and Sea, stroll through Capistrano Playa, and contemplate the long history of El Puente del Águila. For maps, reviews, more things to do, and other tourist information, use the Nerja vacation trip planner. You can drive from Antequera to Nerja in 1.5 hours. Alternatively, you can take a bus; or do a combination of train and bus. Plan for a bit cooler nights when traveling from Antequera in April since evenings lows in Nerja dip to 48°F. Finish your sightseeing early on the 28th (Fri) to allow enough time to drive to Marbella. Get outdoors at Borrasca Experience and Playa La Carihuela. Change things up with these side-trips from Marbella: Torremolinos (La Carihuela, Crocodile Park, & more), Fuengirola (VOM FASS Fuengirola-Costa del Sol & Sierra MTB) and Benalmadena (Benalmadena Puerto Marina, Garden of Eagles (Jardin de Las Aguilas), & more). There's still lots to do: get outside with Adventure Rider Centre, stop by Recuerdame, tee off at Alcaidesa, and explore by horseback at Ride Andalucia. To find maps, traveler tips, more things to do, and more tourist information, read our Marbella vacation builder. Traveling by car from Nerja to Marbella takes 1.5 hours. Alternatively, you can take a bus. In April in Marbella, expect temperatures between 71°F during the day and 53°F at night. Cap off your sightseeing on the 5th (Fri) early enough to go by car to Ronda. Get in touch with nature at Reservatauro Ronda and SierrAventura Ronda. And it doesn't end there: take in the dramatic natural features at El Tajo, wander the streets of Old City, indulge your taste buds at Descalzos Viejos S.L., and learn about winemaking at Dona Felisa Winery. To find other places to visit, more things to do, photos, and other tourist information, go to the Ronda itinerary builder. Drive from Marbella to Ronda in 1.5 hours. Alternatively, you can do a combination of bus and train; or take a bus. Expect a daytime high around 80°F in May, and nighttime lows around 55°F. Finish your sightseeing early on the 14th (Sun) to allow enough time to take a train to Cordoba. Cordoba is known for sightseeing, historic sites, museums, nightlife, and spas. 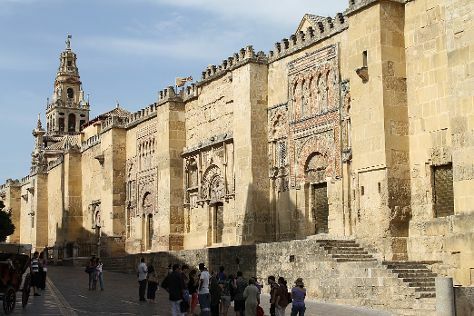 Your plan includes some of its best attractions: admire the striking features of Mosque-Cathedral of Córdoba, take in the architecture and atmosphere at Capilla Mudejar de San Bartolome, appreciate the extensive heritage of Calleja de las Flores, and take in the pleasant sights at Visual Axes. To find other places to visit, maps, ratings, and other tourist information, use the Cordoba travel itinerary creator. Getting from Ronda to Cordoba by train takes about 2 hours. Other options: drive. In May, daily temperatures in Cordoba can reach 84°F, while at night they dip to 56°F. 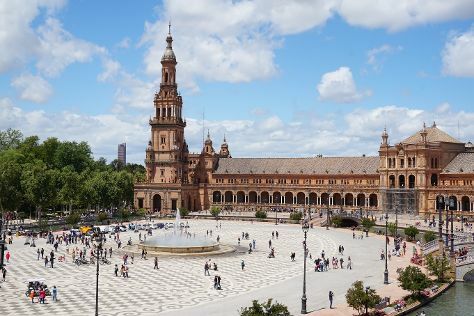 Finish your sightseeing early on the 17th (Wed) to allow enough time to take a train to Seville. Visiting Parque Nacional de Donana and Parque del Alamillo will get you outdoors. Pack the 23rd (Tue) with family-friendly diversions at Parque Isla Magica. The adventure continues: take an in-depth tour of Royal Alcázar of Seville, explore the world behind art at Seville Museum of Fine Arts, get outside with Estadio Ramon Sanchez Pizjuan, and admire the striking features of Metropol Parasol. For maps, reviews, ratings, and other tourist information, refer to the Seville travel planner. You can take a train from Cordoba to Seville in an hour. Other options are to drive; or take a bus. In May, daily temperatures in Seville can reach 84°F, while at night they dip to 58°F. You will leave for home on the 25th (Thu).